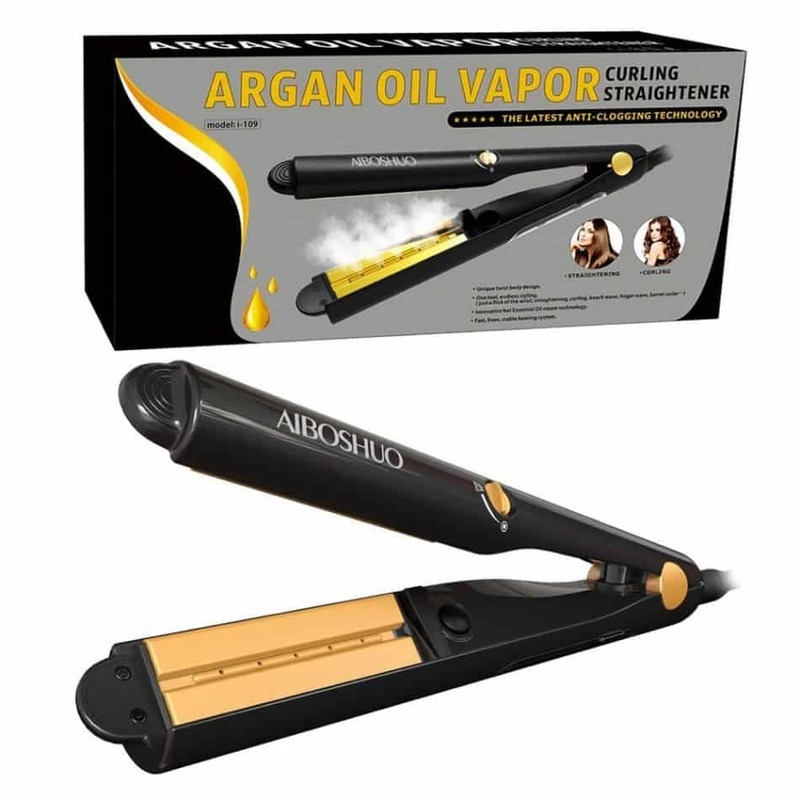 This Essential Steam Straightener & Curling Argan Oil like Tyme iron is the latest Innovation in Hair Styling Technology. The Essential Steam Styler smooths and transforms unmanageable, frizzy hair, to soft silky smooth hair. 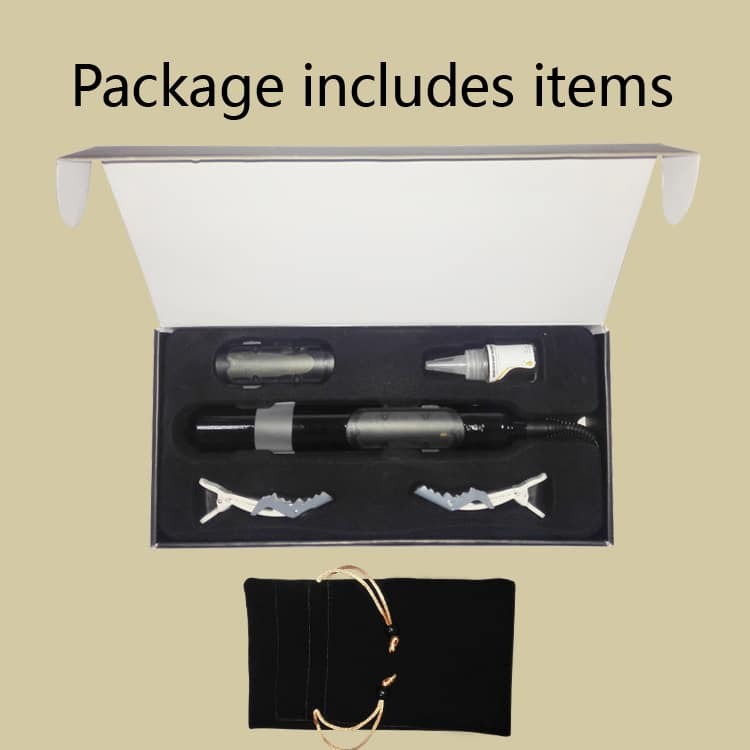 The unique twisted body enables you to Straighten, Wave or Curl hair quickly and efficiently in one single pass. 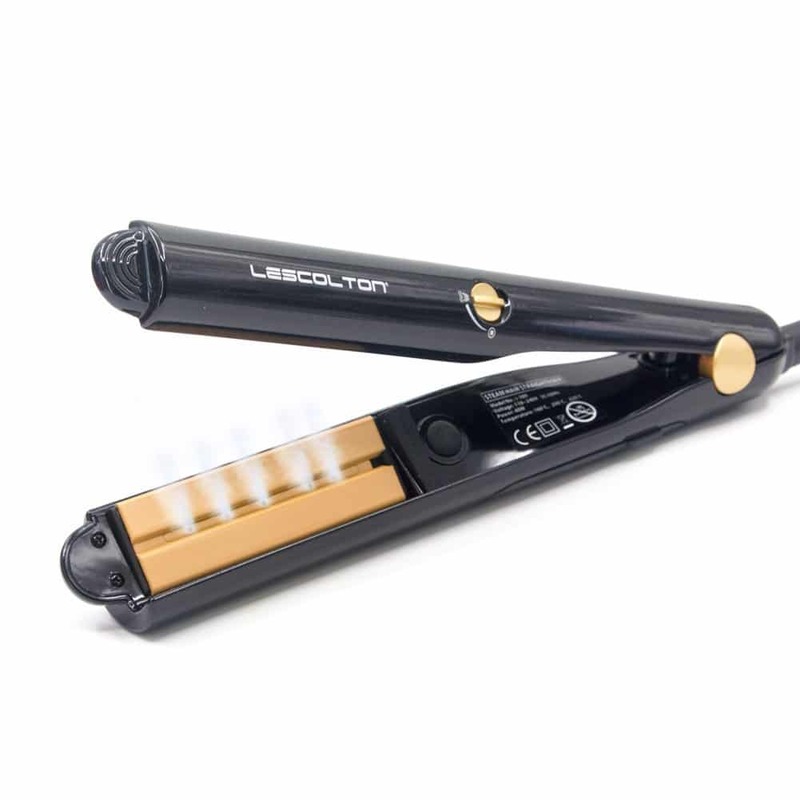 The Nano-Ionic Ceramic Plates helps seal in essential moisture from the essential oil steam treatment infusion System, eliminating frizz and split ends. 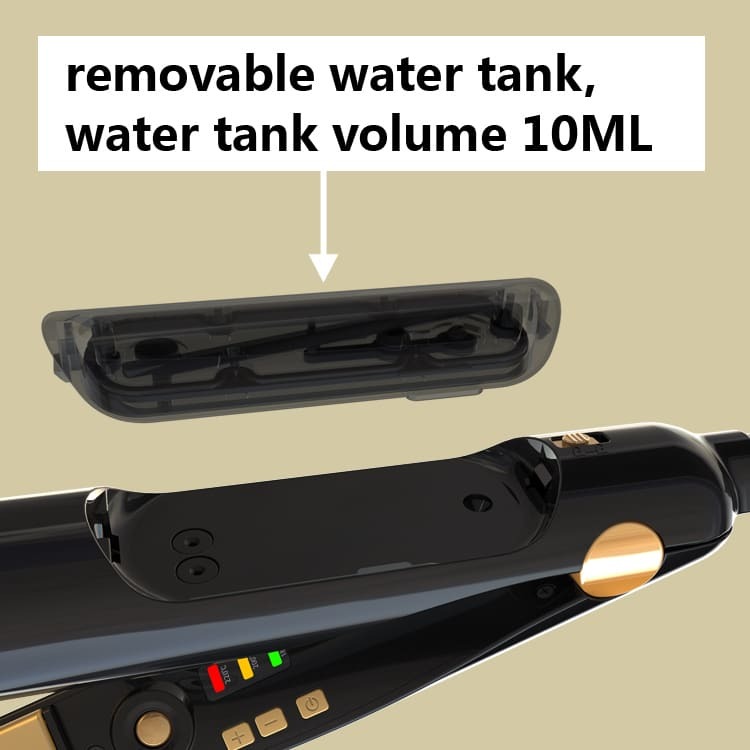 How does the Steam Straightener & Curling Argan Oil innovative technology work? 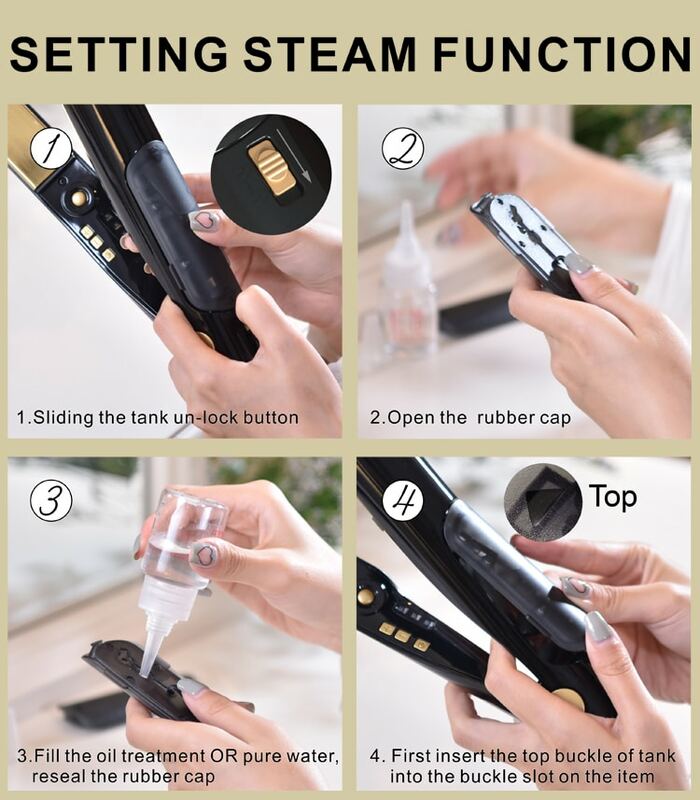 On steam application, the hair cuticle opens allowing all the nutritional ingredients from the essential oil conditioning treatment to be instantly absorbed. The heat then closes the hair cuticle sealing in all the goodness from the essential oil conditioning treatment leaving hair soft, manageable and hydrated whilst providing a healthy appearance and professional looking style. 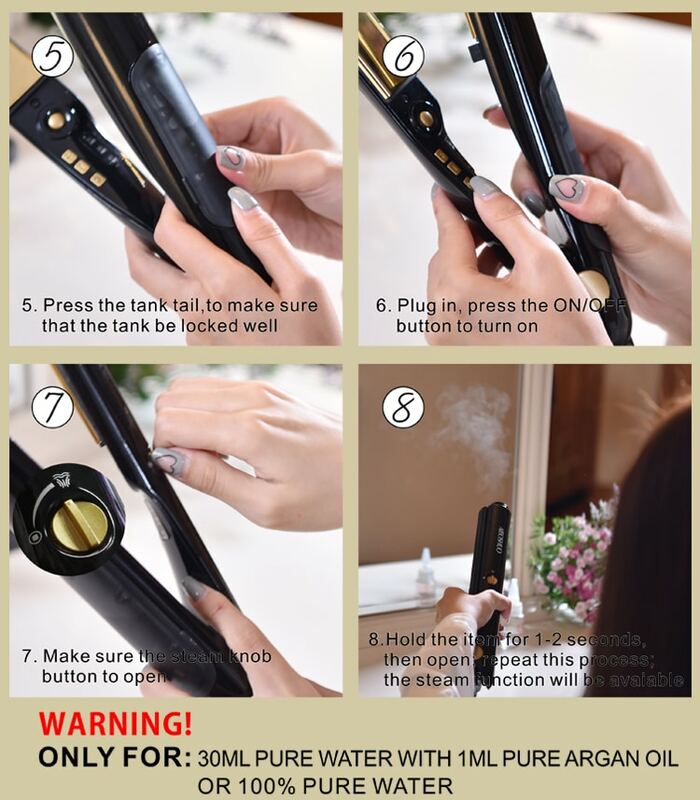 This is a Argan oil steam flat iron hair straightener, you can fill 30 ml pure water with 0.2 – 1 ml pure Argan oil mixed or 100% pure water to tank for steam. Step 1: Start in back with large vertical sections. Step 2: Hold the iron vertical and use a soft rotation. Hair Tip: Leave the ends out for an unpolished look. Step 3: Alternate direction to keep curls separated. Step 4: Keep sections big in front and start curl at lip level. Hair Tip: For textures curl a few smaller sections slighter and higher. Step 5: Once hair is cooled, brush through on finger comb. 1. 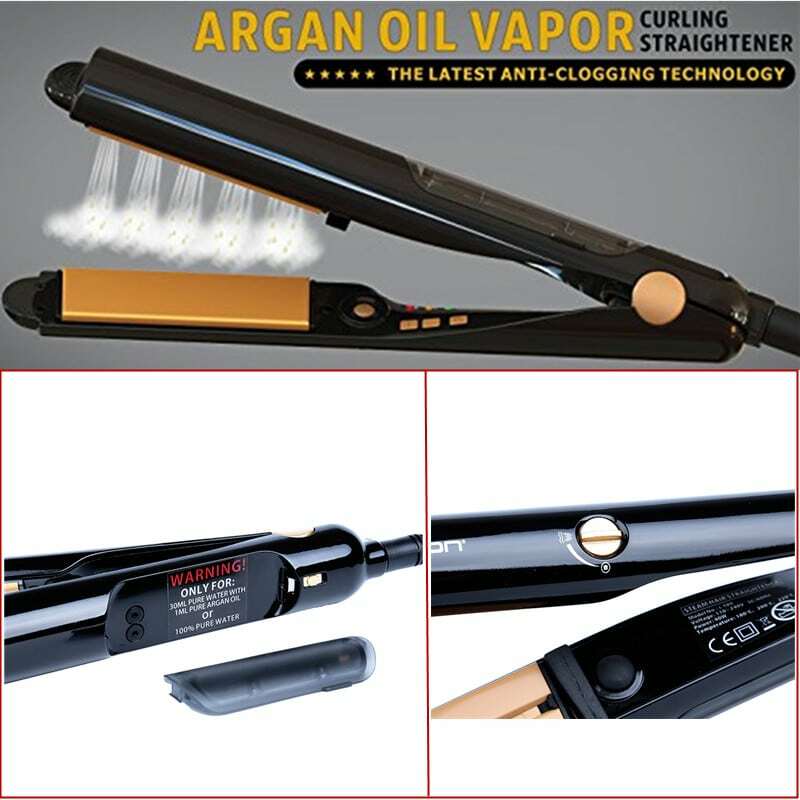 Curling and Straightening in one tool. 2. 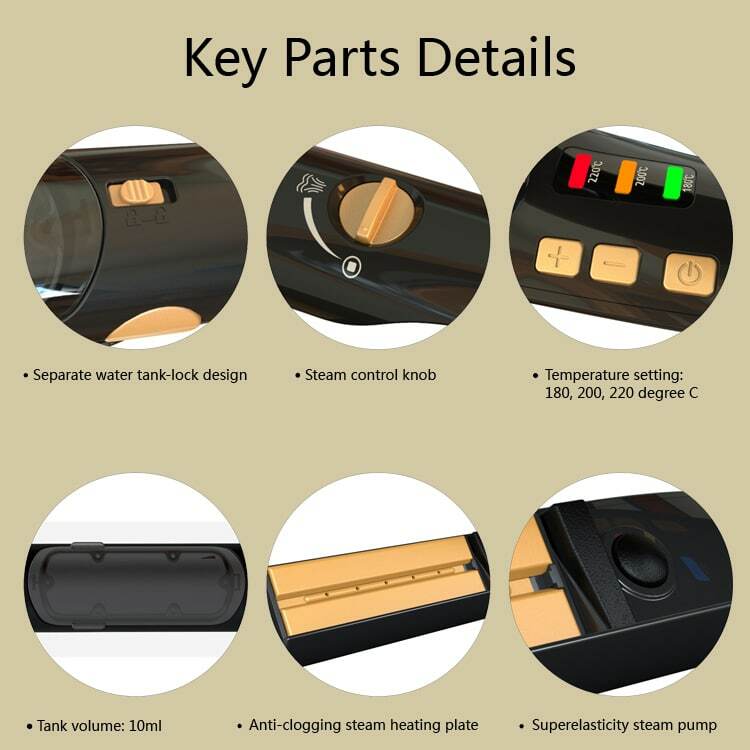 With the Essential Oil steam vaporization and adjustable range from 180 – 220℃. 3. Designed with floating plates. 4. Titanium plate and PTC heating element. 5. 360° degree swivel power cord. 6. 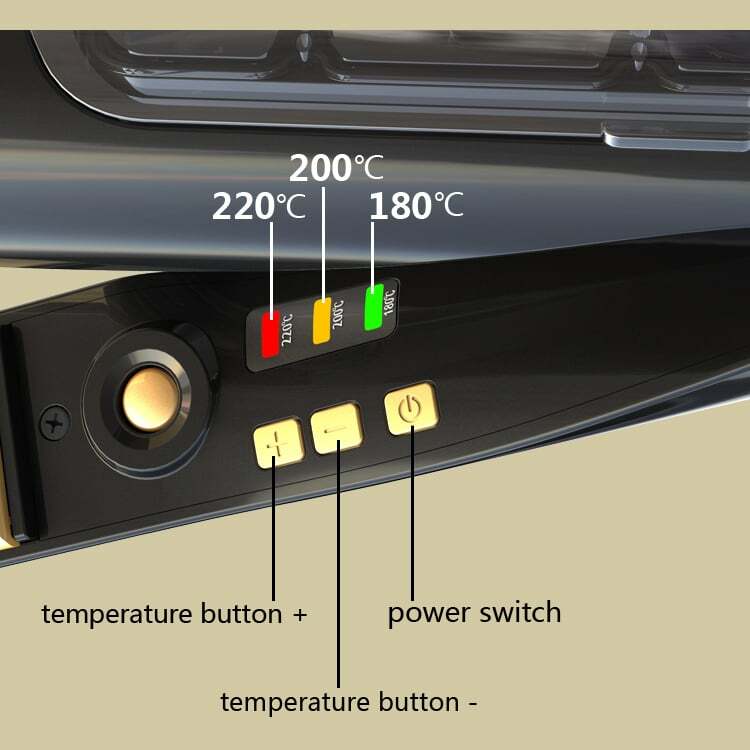 AC 110 – 240v, 50/60Hz, 40w. 60ml Argan oil from Hair Salon Perfect First Essential.